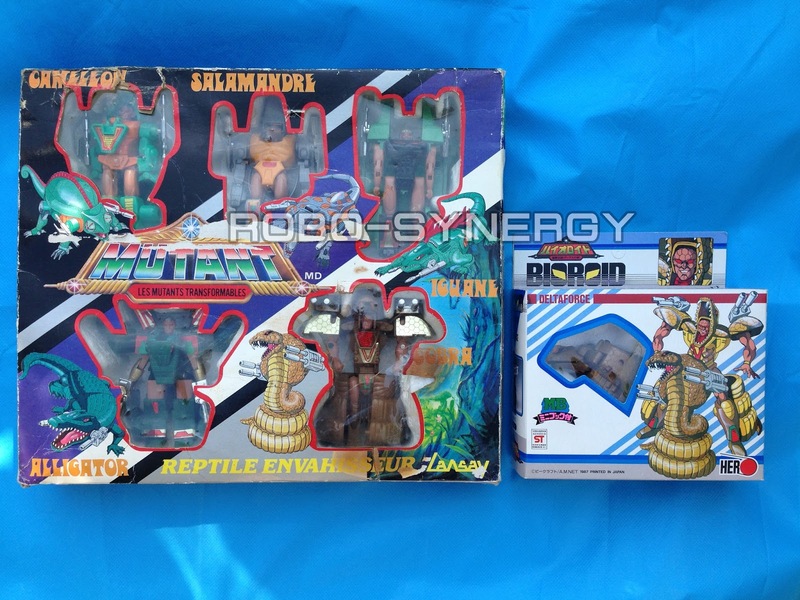 A tribute to the original "Sacred Beast Legend Bioroid" toy line series by toy companies "MARK, SELECT, and HERO". This is my wants list and what I'm looking for. If you're selling one, please contact me! I would be very interested to purchase it off you! Or I can trade something relating to this toy line! 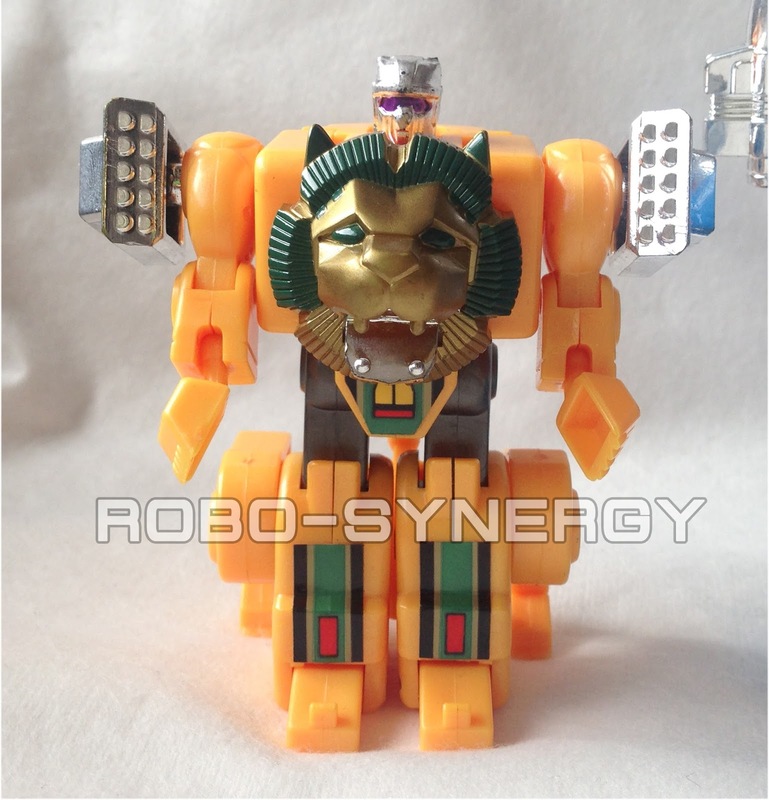 I'm searching for this last piece to complete my 4 Trianforce cats to make it 5, so I'd be very happy to find one! Hello and welcome to Robo-Synergy's happy 4 years anniversary!!! I discovered and started collecting this whole toy line back in April 9th, 2013. 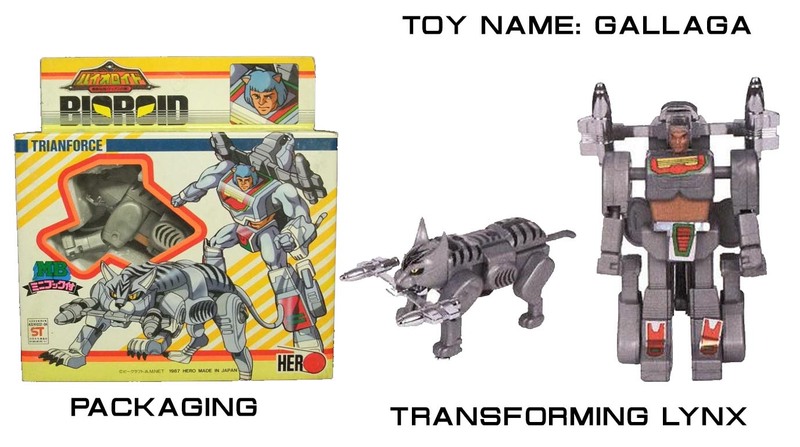 And I'd just like to reflect on the experience I have had through these unique toys. 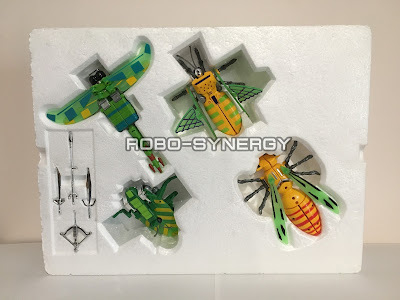 It all began when I first discovered the 8 collectible Maxi, Insecto Robots released by toy company Pacipa. 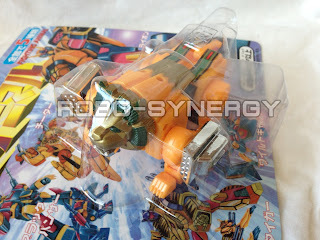 In addition I obtained a transforming robot lion named Simba, from the series V World, Fighting Animal by Pat.P. 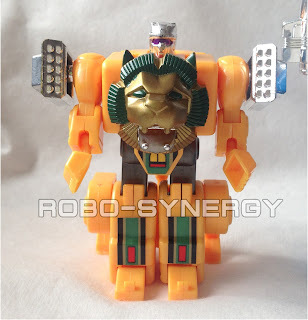 Leader Shine also known as Champion Crown. Here is a art battle scene I did of Flutter vs. Moth to celebrate the event! 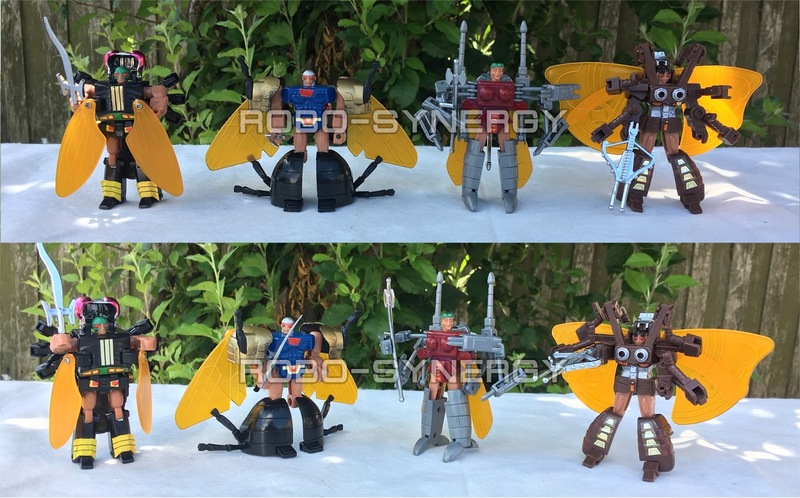 They are significant since they are 2 out of the 8 insects I first got from the toy line. 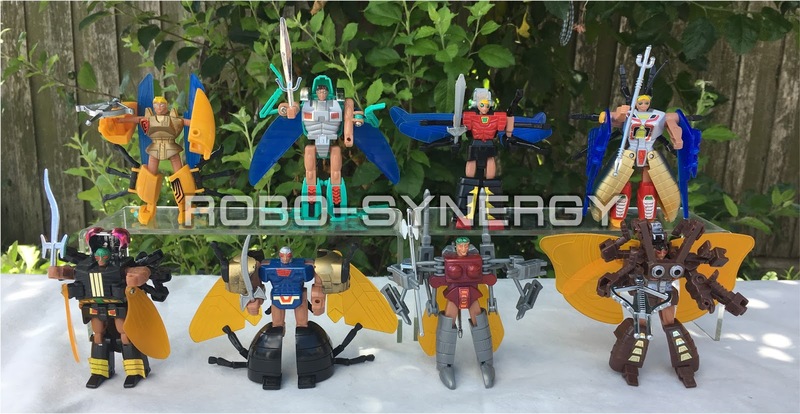 I'd like to say thank you very much to all of you who support the blog and those who message me via email asking about the toys. I'm no expert on the toys and still know only a little about them but I try my best to help and share information from what know of them. 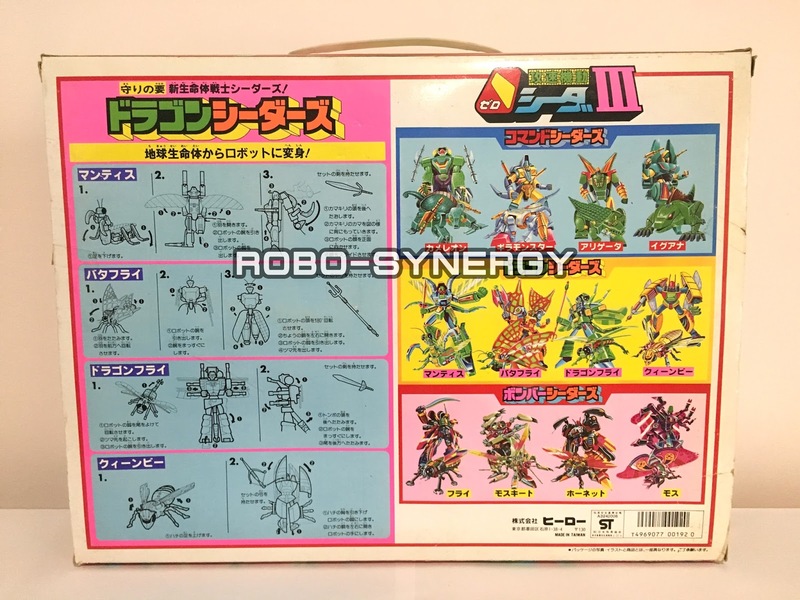 This is my review on the complete 5 Fighting Animal series on sealed individual card backs by toy company Tatsumiya, made in China and designs from Japan. The packaging is very vintage Japanese 1980's. You have cool stylized Japanese and I think Mandarin font. All 5 cats. From what I know I'm guessing their names are from left to right: Lion, Wild Cat, Black Panther, Cheetah, and Tiger. I really don't know if there is any other names for them other than just simply the cat modes their based on. The paint jobs and stickers on these versions are slightly different from the international versions, like the Fighting Animal series by LH (Champion Crown) or the Robo-Kats series by Tek Toys. Note: I used Tiger's variant since I kept the original Tatsumiya, Tiger sealed. The variant is different with the back stripes which has no black and only yellow stripes, otherwise its not entirely different. I love the set! It is hard to find and glad have them in my collection. Quality is the same as the international releases but I really like the colour schemes a little more than the variants that came after. I hope you enjoyed viewing! 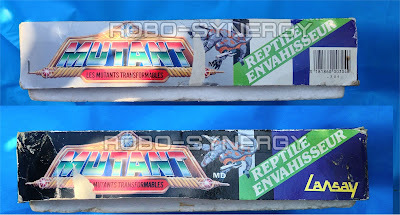 It is a pleasure to introduce a rare gift set I've obtained and that is Les Mutant Transformables, Reptile Enhavhisseur (The Mutant Transformables, Reptile Invader) released by Lansay and made by toy companies Mark and Select. I've never seen them before like the Insecte Envahisseur (Insect Invader) and Insecte de Combat (Insect of Combat) and then a fruitful opportunity arose! 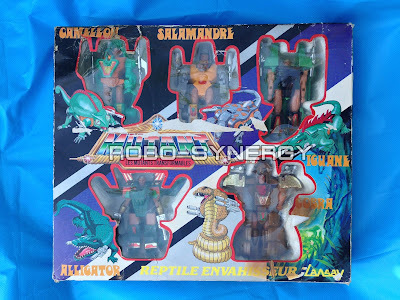 It came near complete with all 5 reptiles but just a few things are missing, like some weapon accessories and instructions but it's all good. The front view of the box detailing has its own colour layout to contrast differently from the other Lansay - Mutant gift sets which looks great. 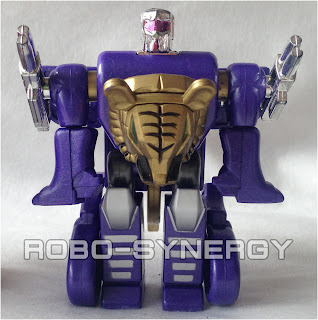 I always love to marvel at the amount of designing, toy artwork, and overall effort the creators put into selling these toys. On the bottom right side of the box shows beautiful artwork of a nature environment where I can imagine the Reptile Invaders would inhabit in and perhaps fight with their arch rivals the Animals of Combat and Insects of Combat. The box has clear plastic windows to reveal the toys in Mutant modes and stylized text to describe their respective reptile modes. Some parts of my box are a little worn out and missing some parts of it but again its all good, majority of it is in great shape. 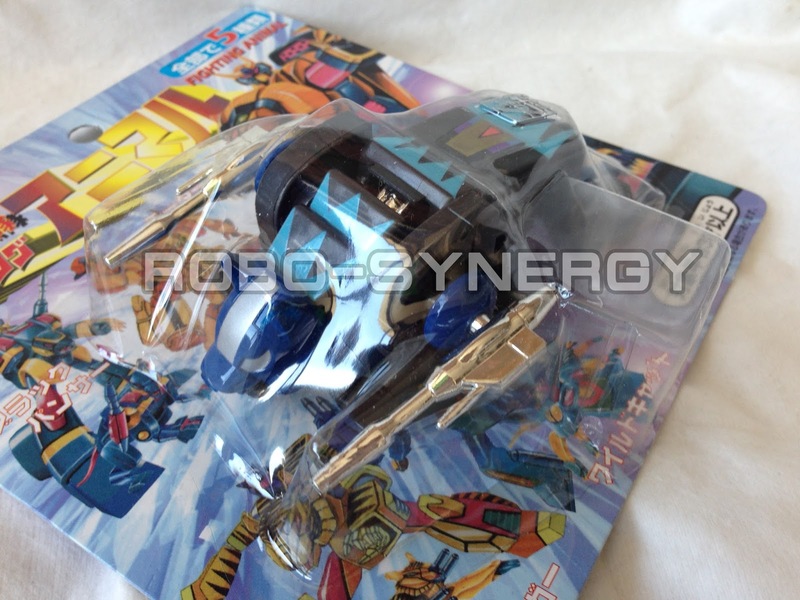 More of the packaging, excellent detailing and colours. The toys come on styrofoam insert, its fantastic. Unfortunately my set was missing the toy instructions but it's all good, I still love them! 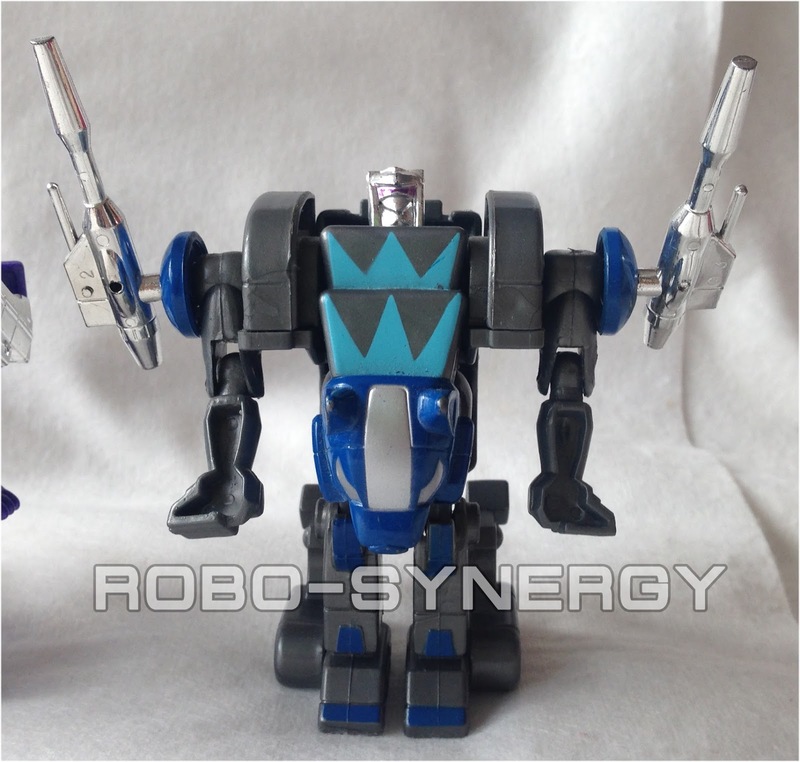 Comparison next to the Japanese version Bioroid series. 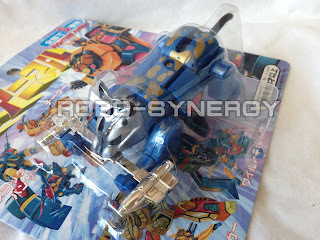 Each toy has its own unique features and the synergism between them all is wonderful. 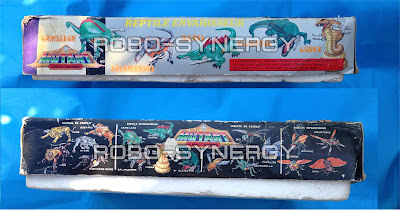 I have the original Japanese individual box sets of the reptiles and the difference between them is no different since the toys themselves are manufactured by the same toy companies, its mostly the toy packaging that is significantly different, Lansay has done an amazing job with their versions. 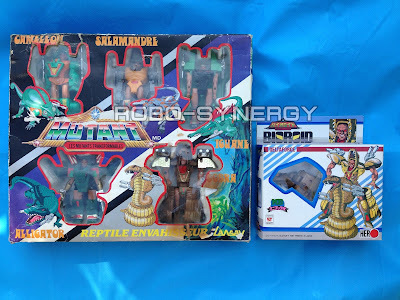 And finally a view of the 3 of 4 Mutant box sets and hoping to find the last box set I need to complete all 4 sets of the toy line which is the Animal de Combat (Animal of Combat) also known as the Fighting Animals. They look great together when the toys are in their boxes or outside of them. If you line them next to other series like the insects. I'm so glad to know they exist and proud to have them in my collection! Thank you for viewing and I hope you enjoyed this post! 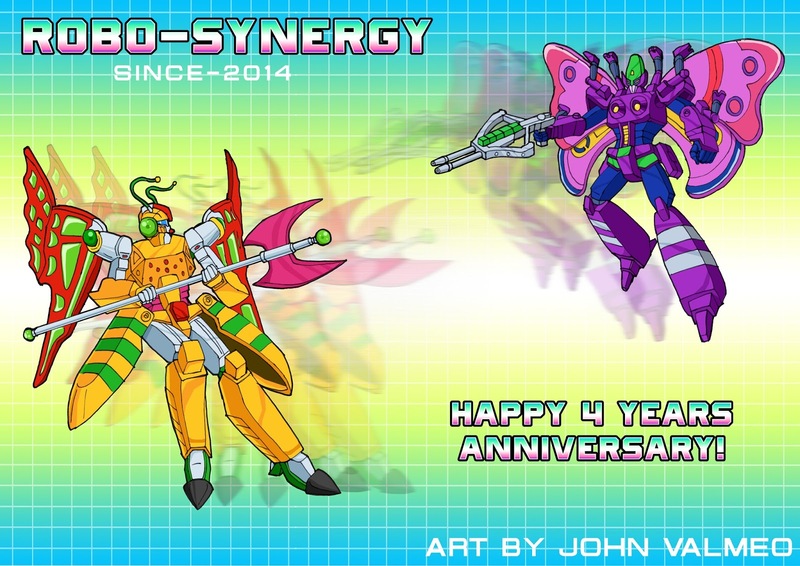 Hello & welcome to the 2017 Robo-Synergy New Year Beginnings & Finds, Part 2. I have finally found 2 french gifts sets that can be very uncommon to find and see around. 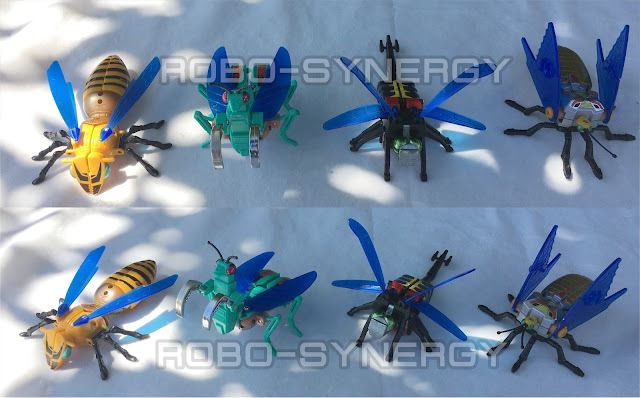 Insecte De Combat (lnsect Of Combat) and the Insecte Envahisseur (Insect Invader) or can be translated from the toy instructions as FIGHTING INSECT and INVADING INSECT. 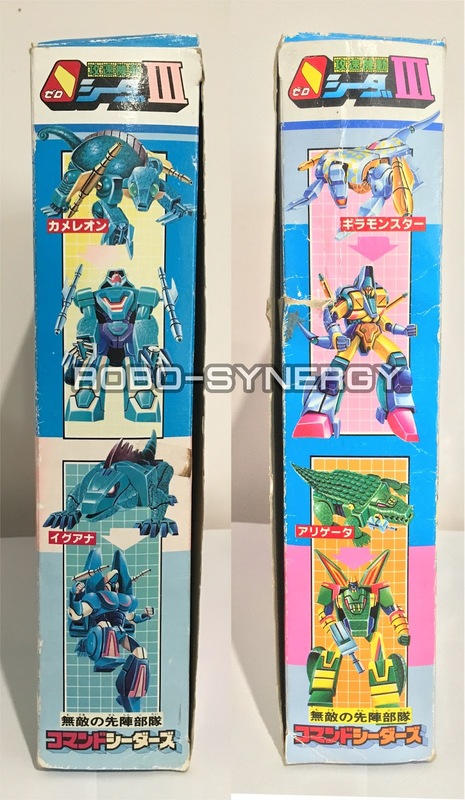 The toys were originally made in Japan and Taiwan in 1986-87 by toy companies HERO, MARK, and SELECT for the Sacred Beast Legend Bioroid (Bioroid) toy line series. The Bioroid series had 2 sides the TRIANFORCE and DELTAFORCE with both having 4 insect members each side. However it is said that the toy company/s was going bankrupt, leaving them to import the toy molds to a french toy company name Lansay. This led the 8 insects to be only European releases either on individual card backs or gift sets. 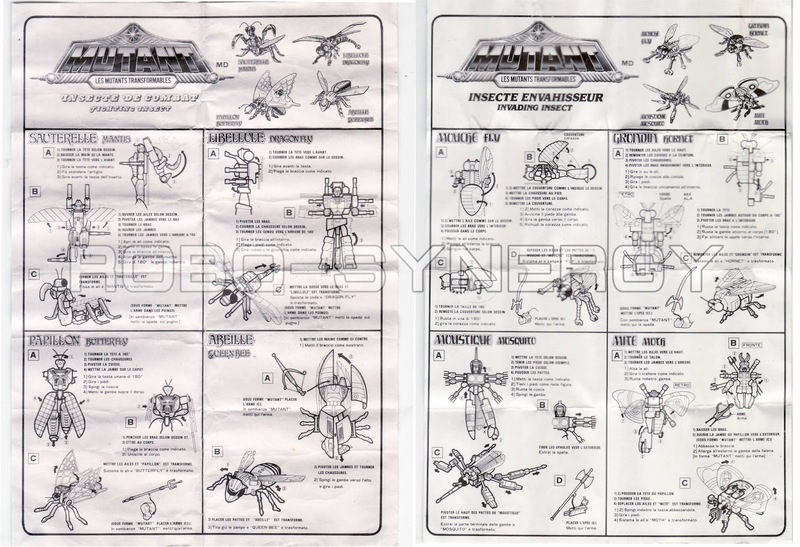 Insecte De Combat & Insecte Envahisseur - Toy instructions. 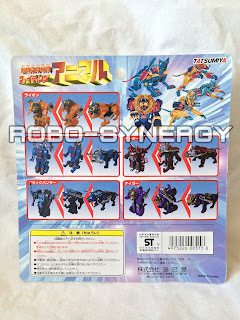 I'm going to use the Mutant names and then Japanese Trianforce names as one. MOUCE/DEATH-FLY, GROUNDIN/WASPRAN, MOUSTIQUE/MOSQULANO, and MITE/ZONUS. Mutant - Insect modes artwork. 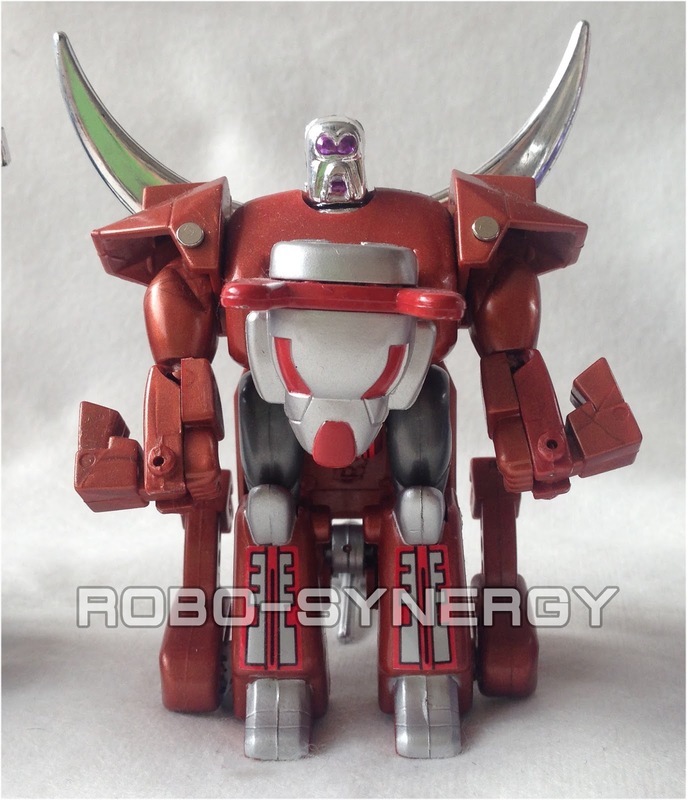 Note: DOOLA's toy photo shows he has red insect eyes when the official release and green eyes. It probably was intended that he could of had red eyes or does on some other release I don't know about and have not seen yet but it is very interesting. 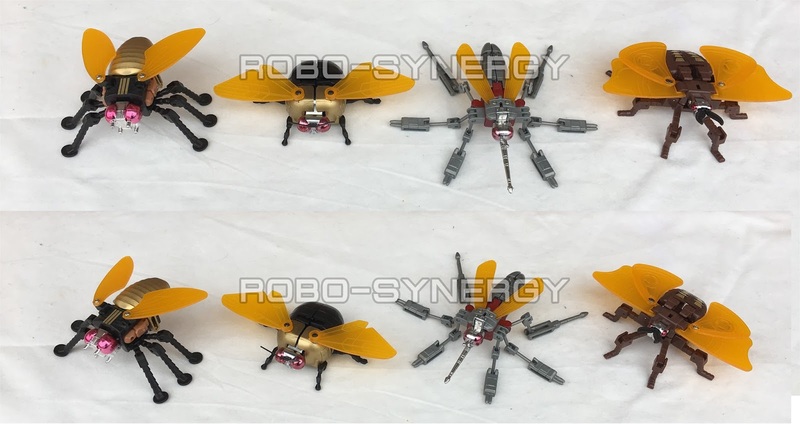 It is similar for WASPRAN's toy photo that his insect mode has green eyes instead of red eyes to match up with the other DELTAFORCE insects. 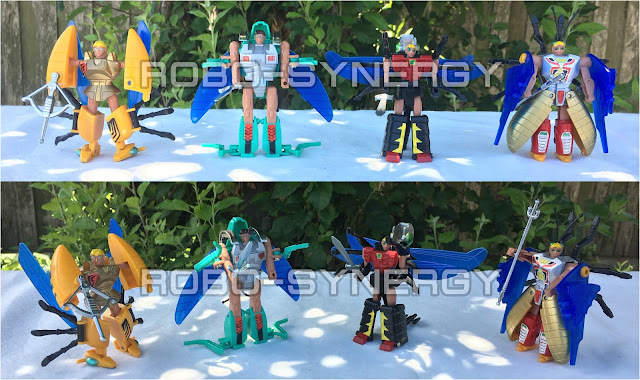 And the artwork of DEATH-FLY and WASPRAN, I think are mistakenly misplaced since the Mutant modes should be the other way to around to represent their toy. Having the complete 8 Mutant insects with everything is surreal! 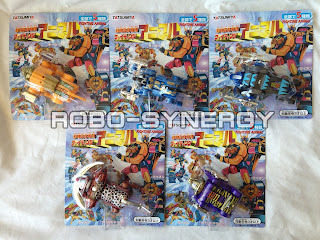 I didn't expect to find them because I think they're very uncommon oddities of this toy line. The quality of the toys are perhaps even more sensitive and fragile than the ZERO-SEEDER versions and international releases. 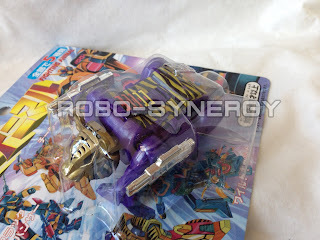 On some of the parts on the toys the plastic can break easily if you don't take extra care when transforming them from both modes. The stickers are good but some of the parts aren't as good quality, they tend to peel off very easily if you knock them around so that's another part to be wary of. 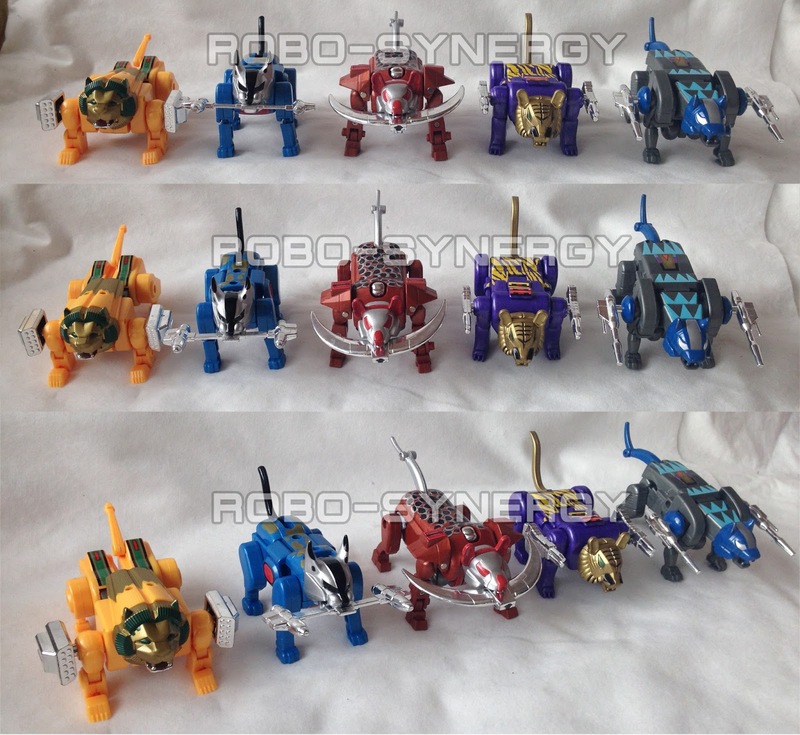 The design and colours of them are just fascinating, the choices they made really work in contrast between each team. I like how they chose cohesive colours to distinguish the teams apart. With the Insects of Combat, they added green eyes for the Mutant modes and green eyes for the insect mode eyes, although however Sauterelle/Kratos is the unique exception with his insect mode eyes are red, I think they did this to not make it blend in his green insect mode and I like it as it gives him a unique characteristic. I just love the route that Lansay went with designing their toy packaging for the Mutant insects, they went with see through plastic windows to show what the Mutant toys look like in Mutant modes instead of vice versa with the insect modes. 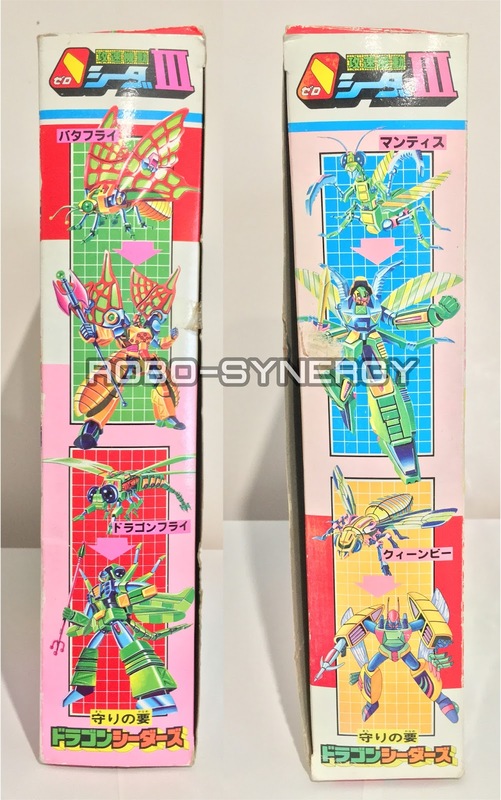 I love the beautiful toy artwork of the insect modes, they look like they could exist in a cartoon/anime or comic/manga, the amount of detailing is really impressive enough if it were to be so. I noticed one thing when I searched to find these toys that I think they resemble a little like another toy line called SECTAURS. 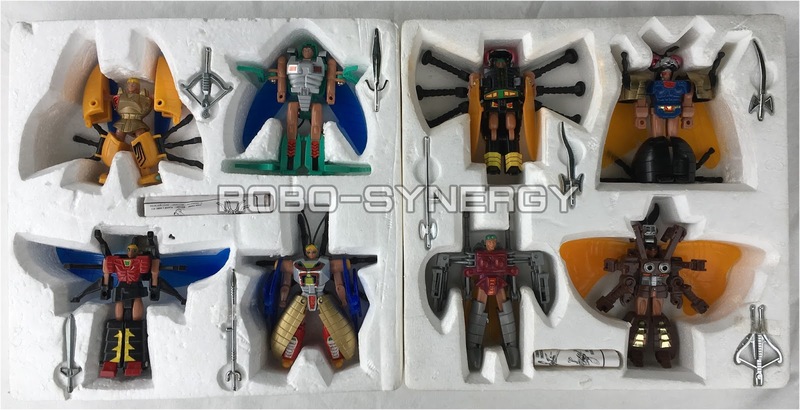 The head designs/sculpts have a resemblance to that toy line just with the combination of half humanoid and half insect features, I think they could fit in side by side with a Sectaurs collection. 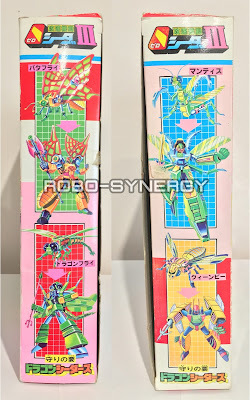 I also like the background designs of the box, it feels like scenes where they toys would inhabit in. 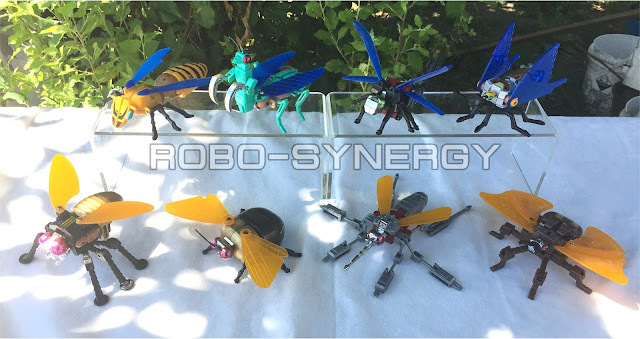 The text of the titles, insect names or insect mode names are stand out like it was written in a more olden day aesthetics. 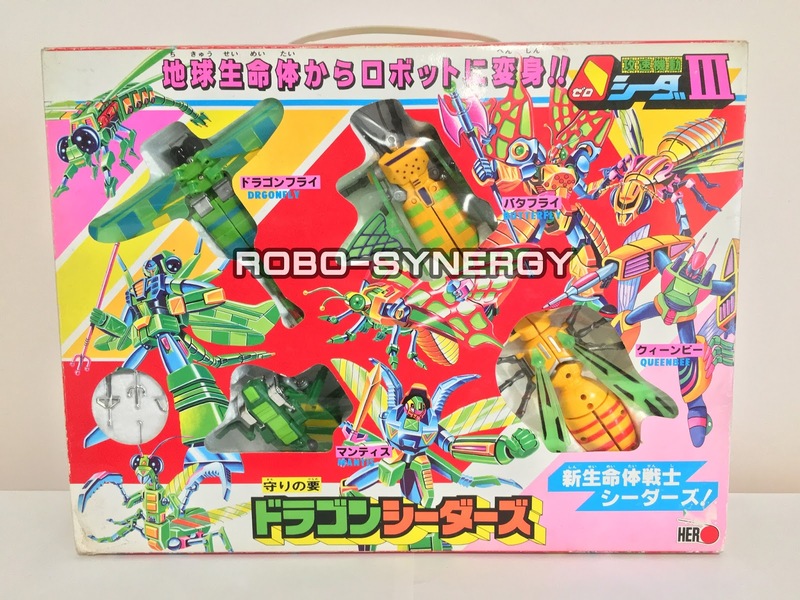 Another cool feature is the toys come on styrofoam insert, which is very 80s for toys, especially for transforming robot toys and great to secure the toys safely with their accessories and instructions. 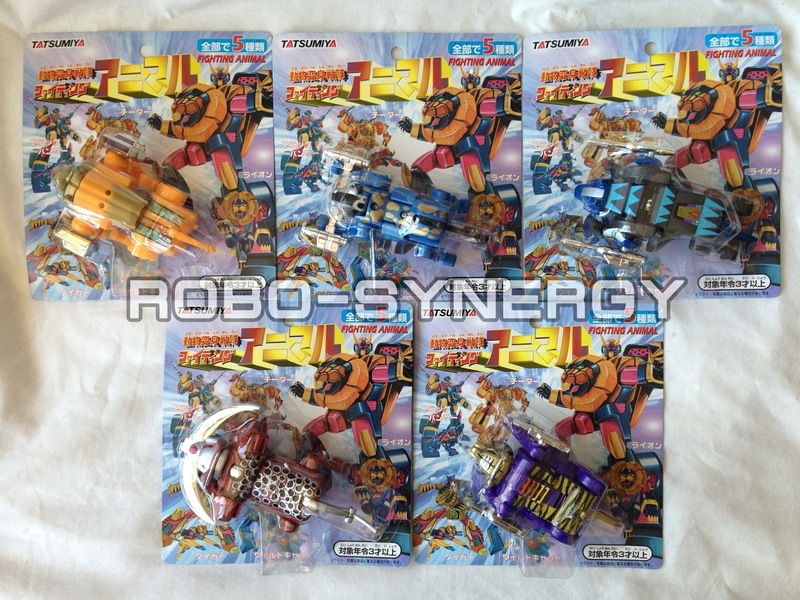 If had HERO released these toys in their own packaging and marketing it would of been so good to imagine and foresee how they could of been like their other Bioroid toys that were done amazingly too but I'm glad they found a alternate way to release them in another profitable capacity and I fore one am grateful they did it still. I'm also proud to own these wonderful and innovative toys, the overall thought and creation behind them really shows in so many ways and I love them a lot!!! A special thank you out to redstarrobot.com for helping me discover and obtain these beautiful gift sets! I hope you enjoyed viewing and if you have any questions or feedback, feel welcome to comment or PM me! 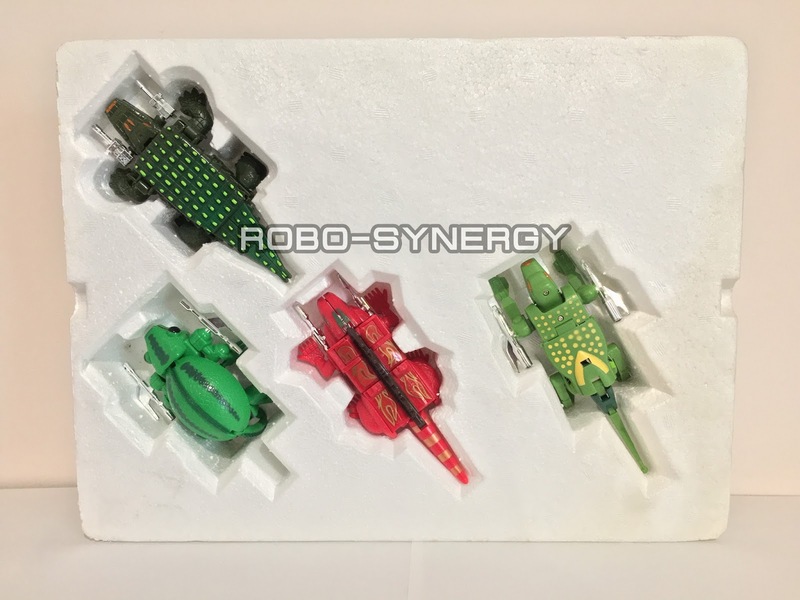 Welcome to the 2017 Robo-Synergy New Year Beginnings & Finds! 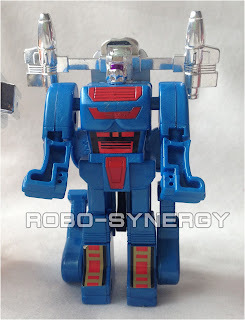 As mentioned in my last post for 2016 I will review the Zero-Seeder toys I found. I hoped everyone had a great Christmas and wish you all a blessed safe Happy New Year!! The Zero-Seeder is a toy line by HERO. 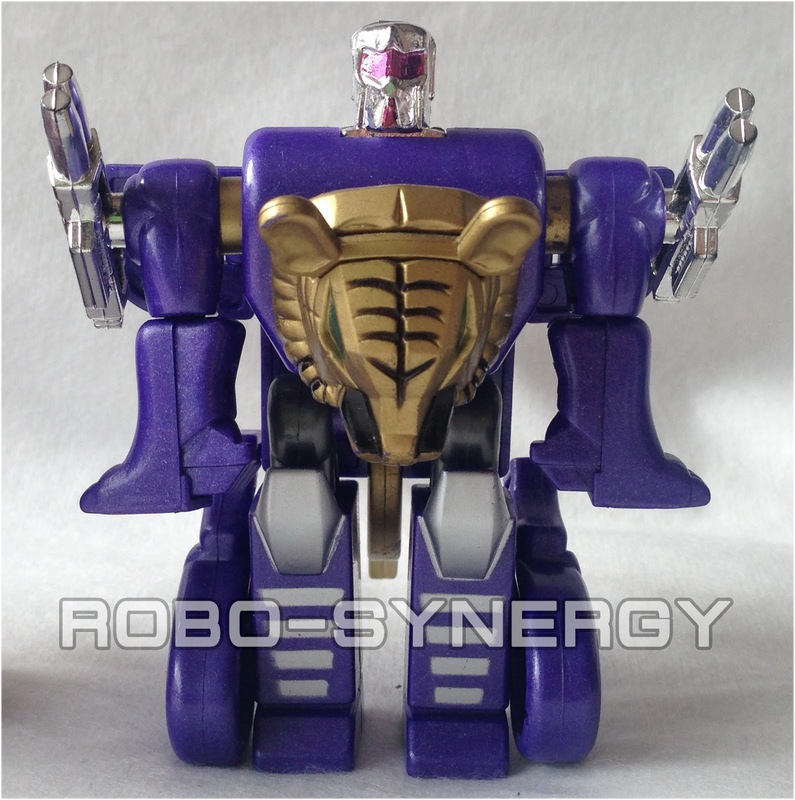 It has a rich selection of different types of transforming robots. If you would like to see more about them I highly recommend checking out this link to find out more about them. The front of the packaging is very nicely detailed with a lot of bright colours and a lot of text describing the title and series. The back of the packaging shows the instructions on the left side and the right side shows the other teams you can collect. 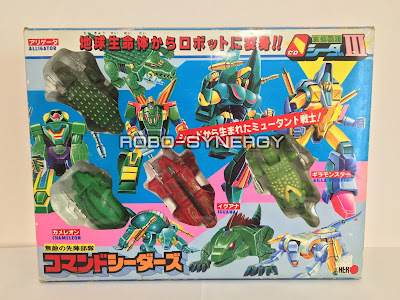 The left and right sides of the box shows each toy/character with square grids behind them and nice use of colours to blind in together with everything. 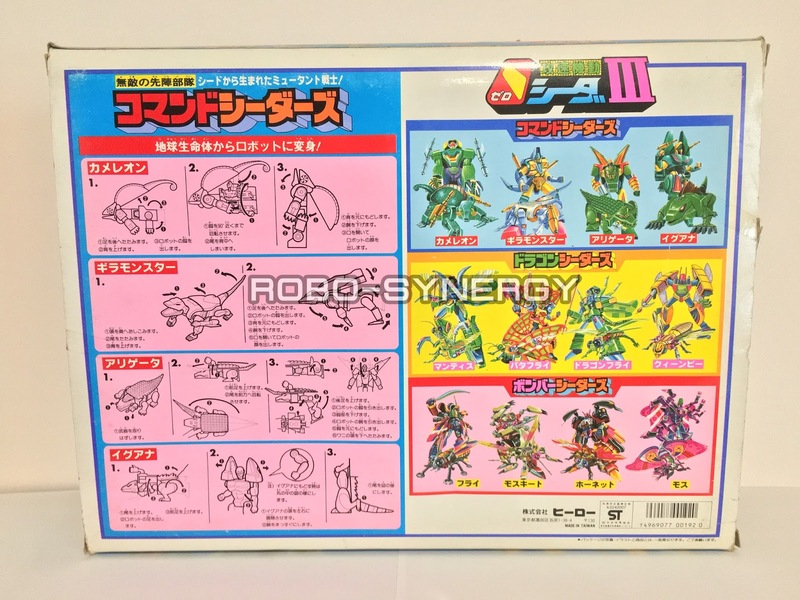 The top of the box shows the insect mode artworks and has a handle in the center which is neat if you'd like to it carry around while travelling. 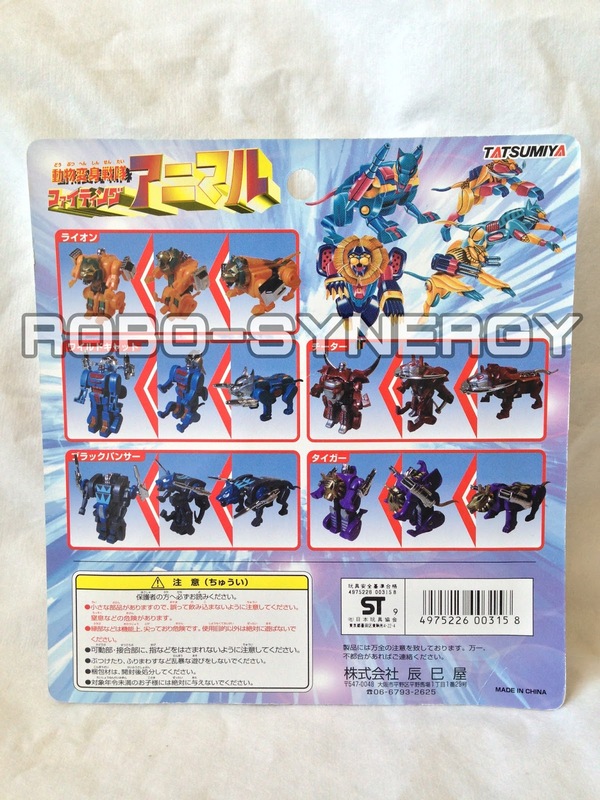 The bottom of the box shows the robot mode artworks. 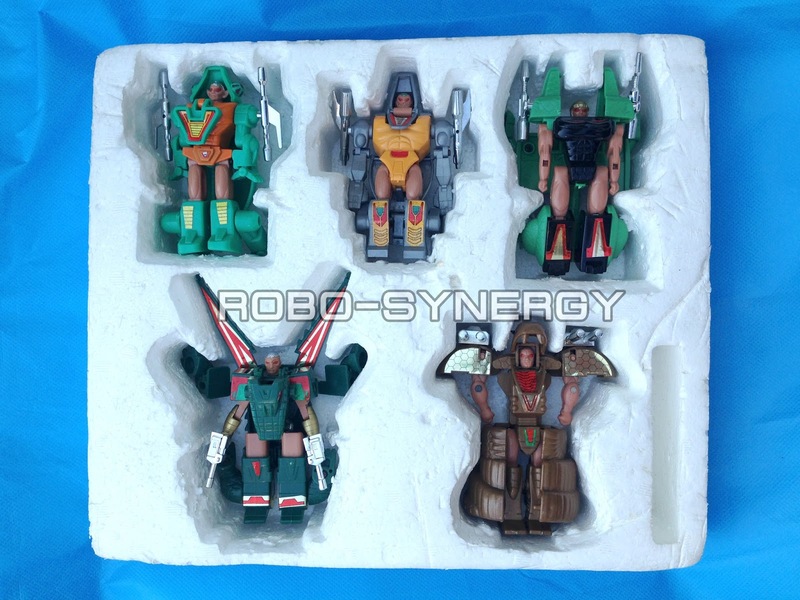 And finally the toys and accessories themselves which come on stryofoam tray insert. 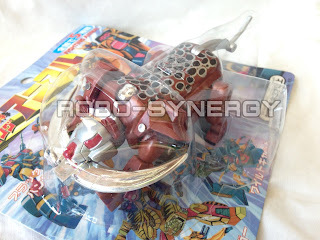 Next up we have the Command Seeders giftset. 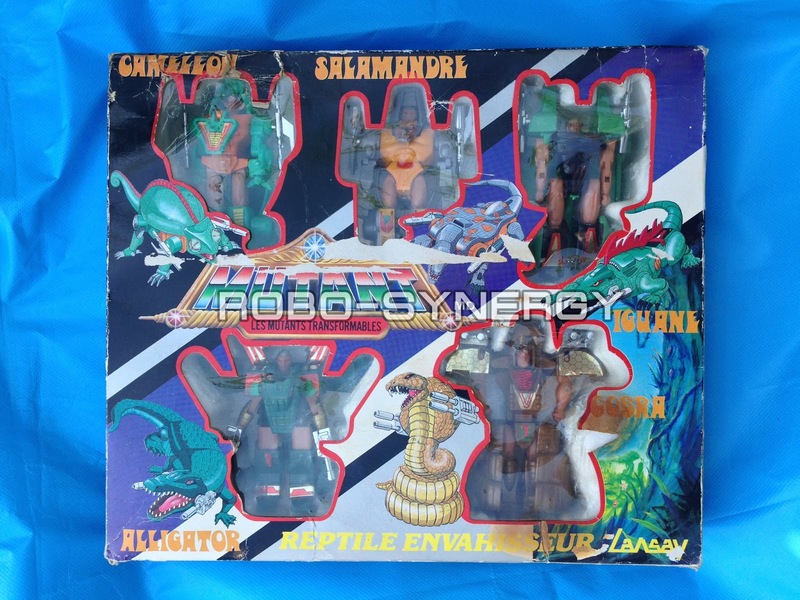 A wonderful set to have, the front of the box has a lot of detailing like the Fighting Insects. 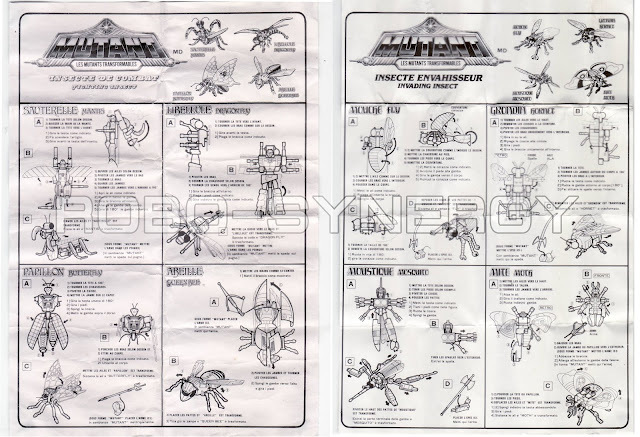 Back of the box shows the toy instructions and other Zero-Seeder toys. 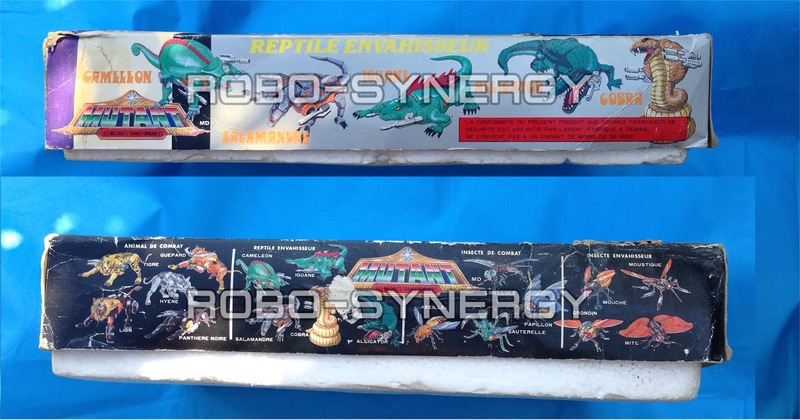 Top and bottom parts of the box have the wonderful artwork with top of the reptiles and bottom the robots. Left and right sides of the box show both the reptile and robot modes with colourful design and detailing. 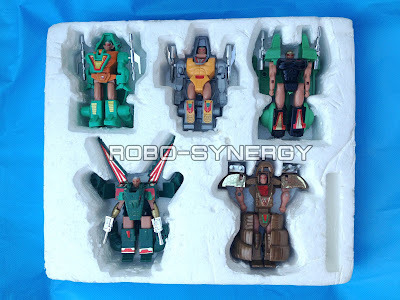 And for the toys come in styrofoam tray insert. 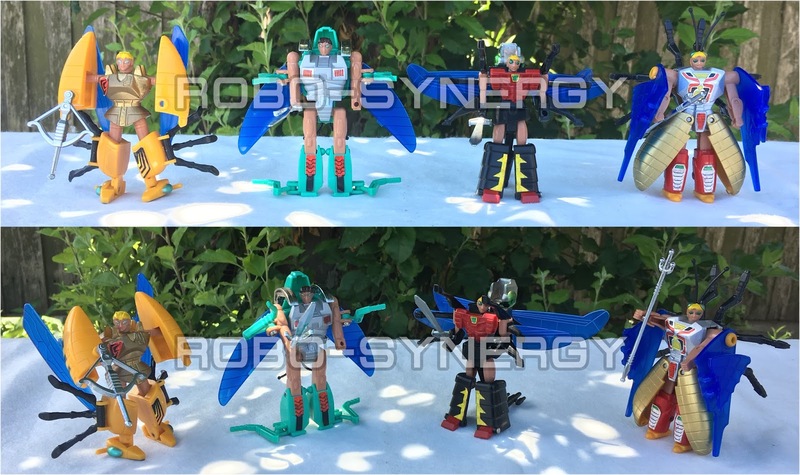 I did some comparisons with the toys from the international versions and they appear to be the same in quality and production. The main part that separates these Japanese sold versions is the toy packaging box which I find so interesting!